Just had the pleasure of exchanging a few words with my pen pal Chris Guillebeau about his new book, and he graciously agreed to conduct a quick interview for sneezr.ca. Jenan: Building financial assets in life is similar to playing billiard or pool because, in both instances, the least reliable approach is the poke-and-hope approach. 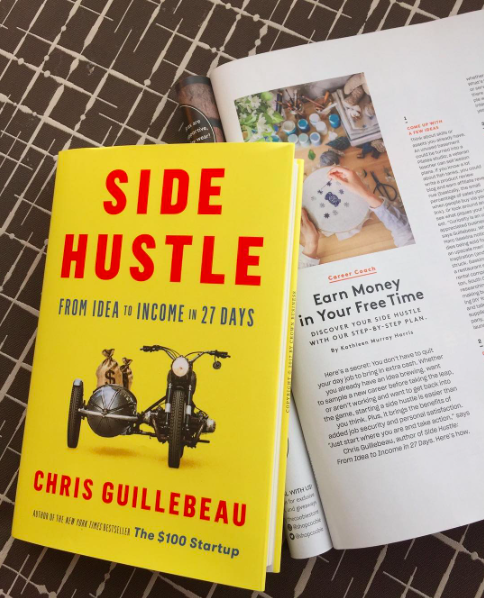 In your new book ‘Side Hustle: From Idea to Income in 27 Days,’ you give the reader some practical tips on how to build financial assets. Is there an age group that may especially benefit from your book, but may overlook it simply because they can’t identify with the ‘Side Hustle’ idea? If so, could you give them a reason or two to give it a try? Chris: A side hustle is for every generation, from millennials who know better than to trust their security to a corporation to older generations looking for a second act. I’m finding that it’s resonating pretty much wherever I go. One thing I’d note is that older generations sometimes feel intimidated because they perceive they lack certain technological skills. But my response is that they have certain life skills and experience that is valuable, and it’s just a matter of transferring that experience into a different moneymaking idea. It’s a very inclusive platform, in other words. ? Jenan: Thank you, Chris, and all the best until next time! p.s. You can get your own copy of Chris’ new book on Amazon.